1 The site of a watermill can still be traced. 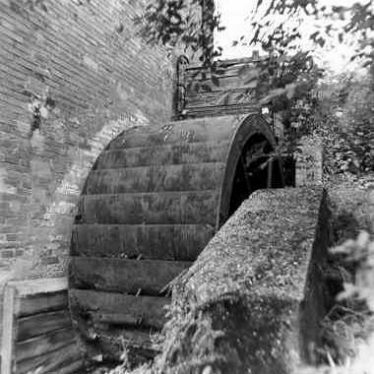 A watermill was given to the Abbey of Leicester by Geoffrey L’Abbe about 1143. This was confirmed in 1240. This mill at Bramcote is also recorded at the Dissolution. 2 A small millbay with brick-lined sluices at the above grid reference probably represents the site described, though no Medieval remains can be identified. The mill pond forms part of an extensive water complex (information from OS field survey). 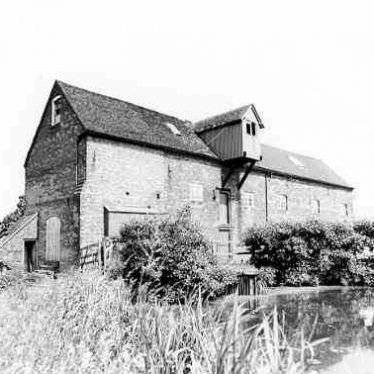 3 Anker Mill remained in operation until the mid 19th century. By 1886 the buildings had been demolished though the watercourses were intact. The mill pool survives, as do the remains of an outbuilding close to the site of the mill. 4 The area is now very overgrown and no remains of the mill could easily be identified although the site was located. The site of a Post Medieval post mill, a windmill mounted on a post. It is known to have existed from documentary evidence. It was located 300m south west of Wolvey Heath. The possible site of a ring ditch of Neolithic or Bronze Age date. It is visible as a cropmark on aerial photographs. The ring ditch is situated 100m south west of Smockington. Leicester Grange, the site of a Medieval grange, a farm or estate belonging to a religious order. The site is known from documentary evidence and is located 300m east of Hinckley Road. The site of a watermill dating from the Post Medieval period. It may have been associated with the deserted settlement at Mill Ford Farm, 700m south east of Coughton Court. Blyth Mill, a watermill which was built during the Post Medieval period, and which remained in use until the Modern period. The mill building is from the Imperial period with later additions. It is situated 700m north of Blyth Hall. Documentary evidence suggests this is the site of Tanworth Mill, a watermill originally built during the Medieval period. A pond and an overshot waterwheel, dating to the Imperial period, survive. The site is located 600m south east of Danzey Green. The possible site of a windmill which dated from the Medieval period. An earthwork, which might be the remains of a windmill mound, is situated 200m north west of the church in Napton on the Hill.